A poster for a social cause featured in the exhibition ‘Bandiere della Pace — United States of Peace’, based in different placements into and across the city of Udine (italy) through june 2010. The only colors allowed by the exhibition statement for the participants to use for their deeds were those of the peace flag, so the rainbow colors. 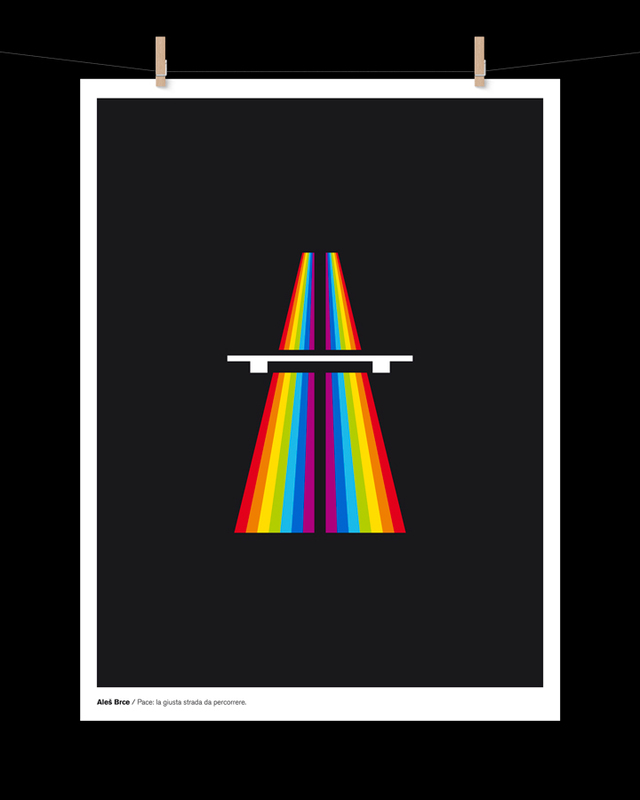 Strongly inspired by the highway simbol (and of course by Kraftwerk’s Autobahn album cover), my entry’s message is clear: driving on lanes of peace you can go far. Plotter print on canvas.